It’s really late- in fact in about 10 minutes this is going up anyways.There is a lot of cool stuff I am working on right now. 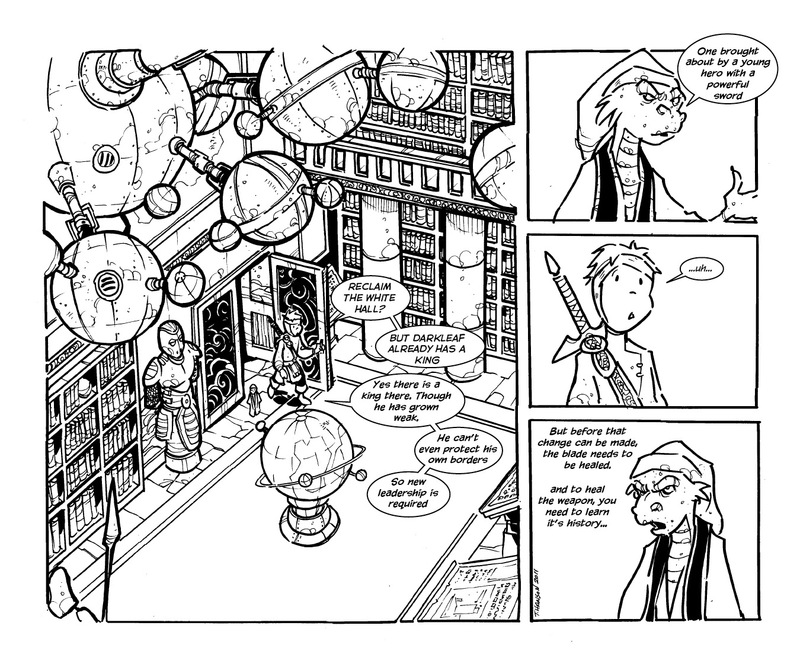 I am very pleased with the current bean pages as well as this new project I am involved in. You might notice typos and spelling errors. Sorry about those. The typos will be fixed when we put all the pages together for the print version of the book. "its" history. Another change to make. I see awesome history coming up soon! Sweet! I love learning more about your awesome world. How awesome is that library! So many books, did that take a long time? All of your work is so detailed, love it! Nice expressions on Thaddeus, by the way. umm… Travis? Why is the art so small and hard to read? Is there a glitch? He seems to have uploaded one half the size… I think we should go with 'glitch' for now.